Whether you're a fan of veggies and fruit, poultry, beef or pork, meat substitutes or seafood (or all of it!) 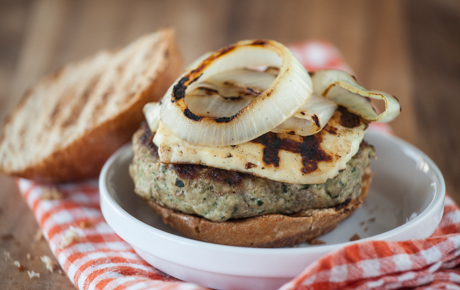 all it takes is a little flavor and the right technique to make grilling special. Marinate seafood and veggies for 20 minutes to impart flavor. Use caution when marinating seafood in citrus juice. Citrus can actually "cook" the seafood if left to marinate for more than 20 minutes. Marinate poultry for up to an hour for best results. For some cuts, longer than 1 hour may be too long and the poultry can either toughen or get mushy. Beef and pork will benefit from 30-60 minutes of marinating, but can also be left to marinate overnight. 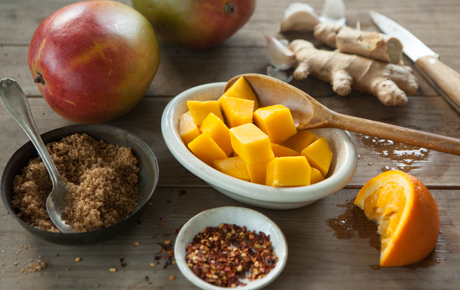 Experiment with flavor: try using wine, beer, fresh juice, spices, herbs, or a combination. After you marinate, wait to brush on any sugar-based barbecue sauce or other ingredients until the final 5-10 minutes of grilling. 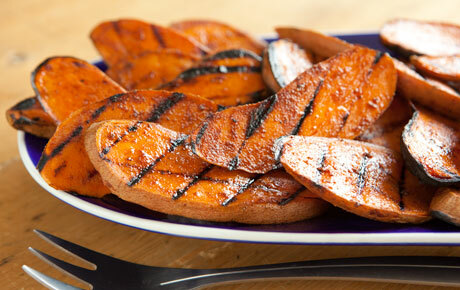 This allows the charcoal flavor to penetrate your food first, and prevents the sauce from becoming charred. 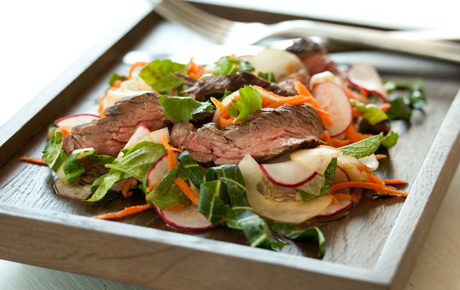 Try new and familiar flavors using premade marinades. Check with our meat department for what's available. 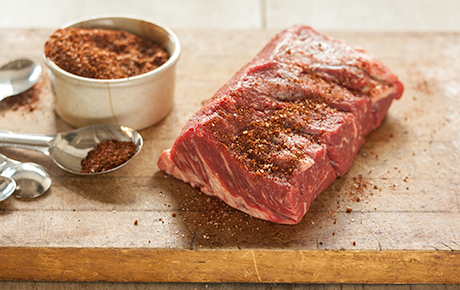 Dry rubs will add depth of flavor to your favorite grilled foods. They are great for tofu, fish, pork chops, chicken breasts and vegetables. Prepared dry rubs already contain the right mix of flavors ranging from Asian to Mediterranean styles. Or mix your own rub, storing in an airtight glass jar in a cool place, using as desired. Three to four tablespoons of spice rub should be enough for two pounds of food. To apply a rub, sprinkle it over your choice of meat, poultry, fish or veggies and lightly rub into the surface with your hands. Or place the rub in a large plastic bag, add your ingredients and shake to coat. Then let the food sit in the refrigerator for several hours or overnight. 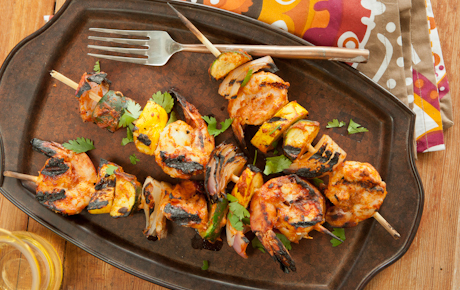 Use the direct heat method for grilling kabobs. Soak wooden or bamboo skewers in water for an hour prior to using them to prevent them from burning or catching fire. Cut foods into similar-size pieces to ensure even cooking. Alternate different-shape foods on each skewer to help prevent kabobs from rolling on the grill. 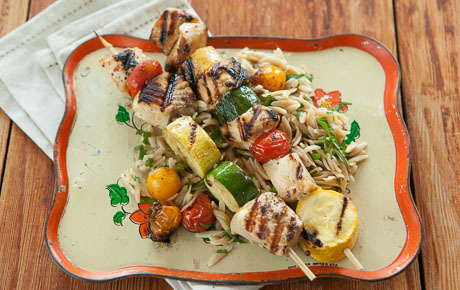 Go outside the traditional and try a few of these ingredients to liven up your grilling repertoire. Halloumi is a firm cheese that holds up well to grilling and tastes delicious on salads and sandwiches alike. 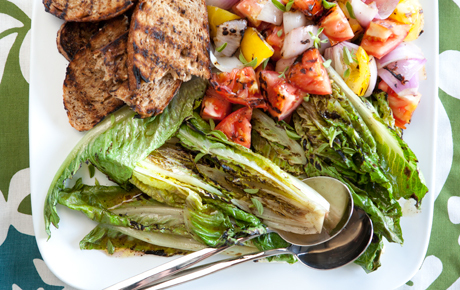 Lettuces like romaine can be grilled to add a wonderful smoky flavor to standard salads. Pizza can be grilled for superb taste (and keeping that hot oven off!). Use a pizza grill pan, or place dough directly on the grates.